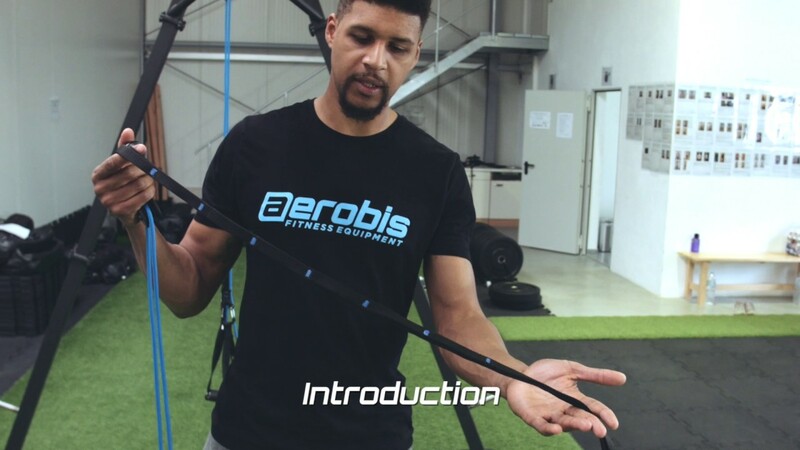 The aeroSling XPE is the entry to dynamic sling training. Yet it shares the high aeroSling quality but is significantly lighter. It is perfect for all sling training beginners and those that seek an easy solution to train their whole body with when traveling. Thanks to the anchor sling and the integrated door anchor the aeroSling XPE can be mounted almost anywhere.. The aeroSling XPE contains a deflection pulley just like his brother aeroSling ELITE. It enables an additional instability during each exercise resulting in an increased intramuscular coordination compared to static sling trainers. Plus, it allows for rotational exercises, so exercises where the main rope shifts from on side to the other, e.g. the “Power Pull“. The grip knot provides a super-fast rope length adjustment, for instance if you want to start with your leg workout after finishing your upper body exercises. No other dynamic sling trainer can undercut this weight. With lonly 450 g the XPE fits in any hand luggage. So there are no more excuses, why you should interrupt your training when you are on the move. Even in the hotel room you can work out. Just put the door anchor on top of the room door and get started. The aeroSling XPE complies with the same quality standards as all other aerobis products. Its components originate from mountaineering and climbing sports and each part withstands extreme loads. The handles from glass-fibre reinforced plastic are very sturdy, and can easily be cleaned.